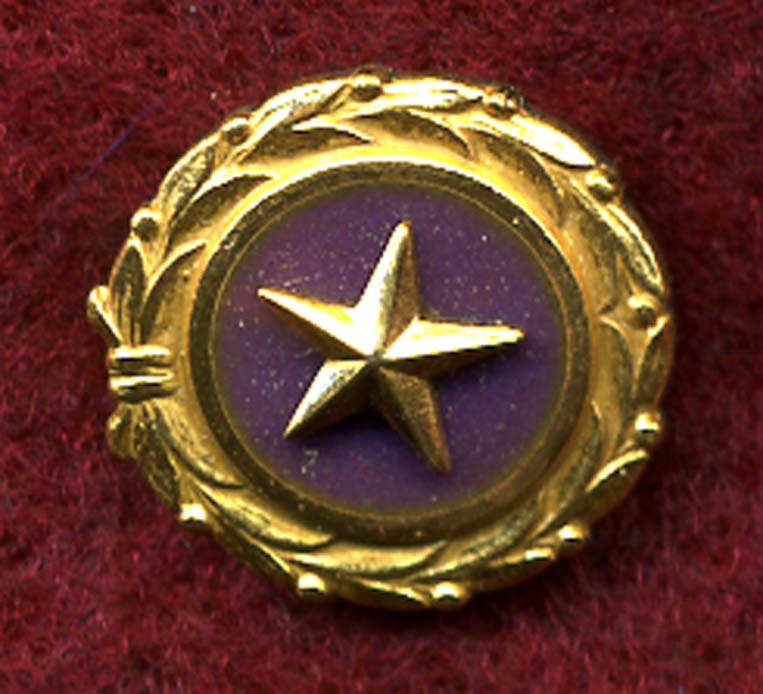 This is a nice little lapel button with a pin back. 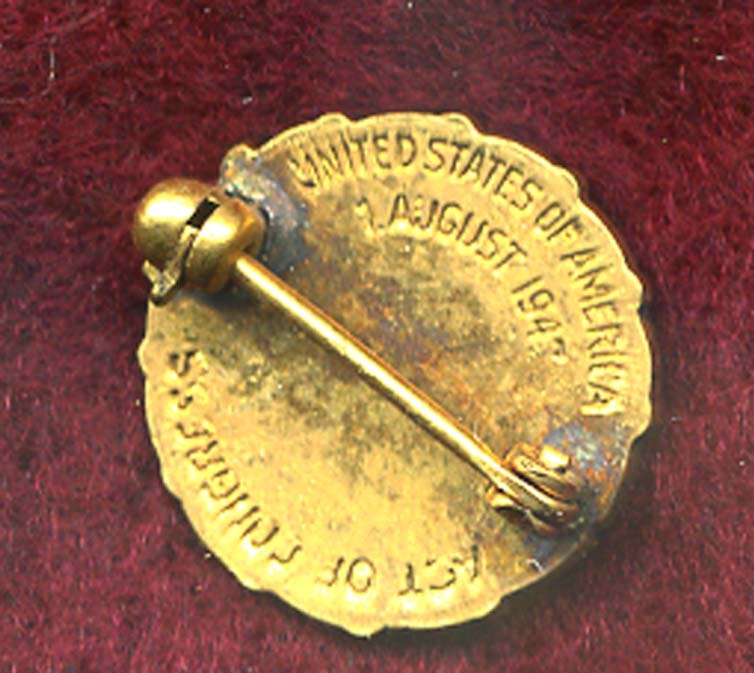 It reads -Act of Congress United States of America 1 August 1947- on the reverse. It measures 5/8 of an inch across. It comes in its original issue box. I have more than one of these. They come from a box marked Brooks & Co., New York, N. Y. 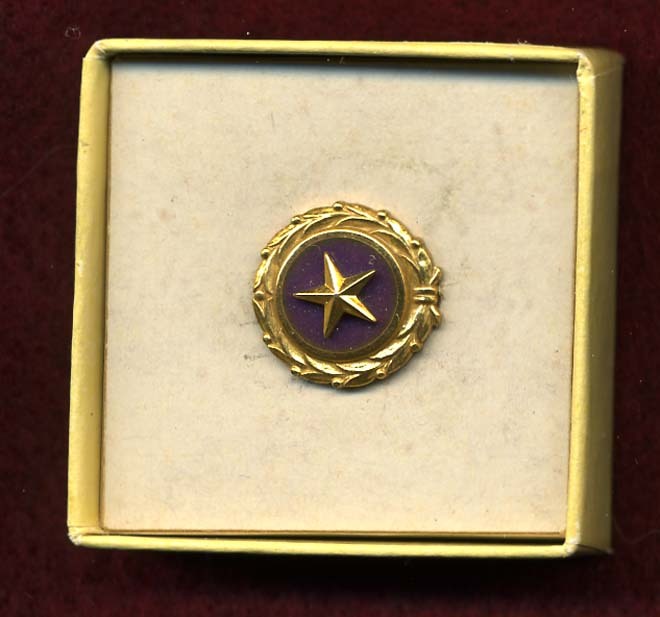 The Gold Star Lapel Button is a keepsake designed to identify widows, parents and next of kin of members of the Armed Forces of the United States who lost their lives in past conflicts.